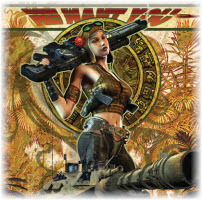 In this issue: Mars expeditions, California invasions, dragon’s teeth, Kzin contention—plus: give the gift of Baen Ebooks for the holidays! How do you get to the Red Planet? Not by a benighted government program trapped in red tape and bound by budget constrictions, that’s for sure. No, what it will take is a helping of adventure, science, corporate powerplays—and money, money, money! Enter billionaire Art Thrasher. He’s a man with a driving vision. But it’s going to take all the wiles as a captain of industry and master manipulator of business and capital to get a rocket full of scientists, engineers, and adventurers on their way. A fast-paced near-future novel of intrigue, science, and adventure from science fiction legend, Ben Bova. 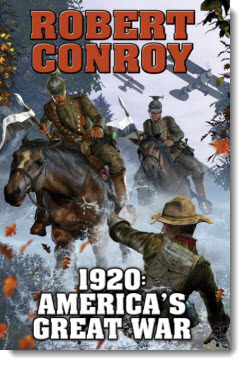 Consider another 1920: in 1914, Imperial Germany crushes the other powers of Europe and wins WW I. Now it’s America’s turn. The U.S. is militarily inept and led by a sick and delusional president on his last legs. When Germany ships a huge army to Mexico, the war for the Western Hemisphere is on—and only the indomitable spirit of freedom can answer the Kaiser’s challenge! In-depth interviews with David Weber, Lois Bujold, Eric Flint, Larry Correia, Sharon Lee and Steve Miller, David Drake, and much, much more. Coming in December: Ben Bova and Robert Conroy! We know our wonderful Baen readers can top these! 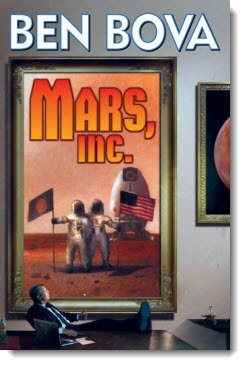 Send your best Mars jokes and receive an autographed copy of December hardcover Mars, Inc. by Ben Bova! Give the Gift of Baen Ebooks! 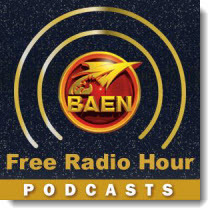 You can order Baen Ebook gift certificates in advance. The gift voucher will be emailed to you and you can print it out and include it in a card for the holidays. Or, hey, put it in the glove compartment of that new rocket-powered helicopter you’re giving your niece! How do you get to the Red Planet? With a helping of adventure, science, corporate powerplays—and money, money, money! But it’s going to take all the wiles of a captain of industry and master manipulator of business and capital to get a rocket full of scientists, engineers, and adventurers on their way. Consider another 1920: in 1914, Imperial Germany crushes the other powers of Europe and wins WW I. When Germany ships a huge army to Mexico, the war for the Western Hemisphere is on—and only the indomitable spirit of freedom can answer the Kaiser’s challenge! Running the gamut from her beloved Bardic tales, to urban fantasy, to science fiction, horror, and beyond: here are tales filled with the soaring imagination, fast-paced action, and utterly believable characters for which Mercedes Lackey is famous! 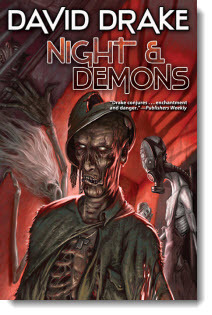 Brings together Fiddler Fair, Werehunter, and brand new stories in one amazing volume. Don't forget to check out the newest ebook releases here, plus Baen.com free fiction from David Drake here and Ben Bova here. 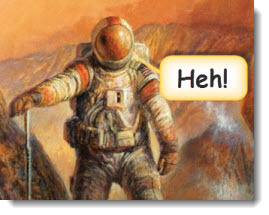 Also, don’t miss the monthly free non-fiction, article, “Becoming Martian,” a look at plans to explore and settle Mars here, and part two of a series by Tom Kratman,“Training for War,” here.